Turkey’s new Law on Foreigners and International Protection recently came into force, providing the country’s first overarching legal framework on migration and asylum. The law also contains new provisions on immigration detention and shifts oversight of Turkey’s detention centres from the police to a new civilian institution. 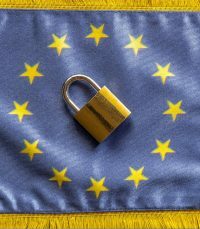 Although observers have welcomed the improved procedural standards provided in the law, they have been critical of its inclusion of controversial statutes found in EU legislation—including provisions for accelerated procedures for asylum seekers—and its failure to eliminate the country's geographical limits on international protection. There are also concerns that the recent adoption of an EU-Turkey readmission agreement could add to the already considerable migratory pressures confronting Turkey because it will lead to growing numbers of third-country nationals being “sent back” to the country, where they will likely be detained on arrival. While Turkey has been repeatedly criticized for its often appalling detention conditions and restrictive asylum policies, international observers have lauded its efforts to accommodate Syrian refuges. As of March, there were approximately 800,000 Syrian refugees in the country, as well as more than 80,000 non-European asylum seekers. As a candidate for membership in the European Union (EU), Turkey finds itself in the challenging position of trying to improve its human rights record while at the same time helping block passage of migrants and refugees into Europe. Migratory pressures in the country have increased tremendously in recent years as a result of the conflict in Syria and EU efforts to block other migratory routes to the continent. As of early 2014, Turkey was hosting nearly 800,000 Syrian refugees, providing “exemplary” assistance according to the UH High Commissioner for Refugees (UNHCR). According to the EU border agency Frontex, during 2013 there was a sharp increase of “detections” of unauthorised border crossings—mostly involving Syrians—in the eastern Aegean Sea and along the Turkish-Bulgarian border (Frontex 2013). Greece and the EU have implemented controversial interdiction and removal efforts in areas bordering Turkey to stem the movement of migrants and asylum seekers. (For more information on these efforts, see the March 2014 GDP report, “Immigration Detention in Greece.”) At the same time, Turkey has taken a number of steps to fortify its detention infrastructure and tighten its borders, which have been funded in large measure with EU financing, including building new facilities, refurbishing older centres, and finalizing agreements with Europe on the “return” of third-country nationals to Turkey. During a visit in 2012, the Special Rapporteur on the Human Rights of Migrants denounced Turkey’s widespread detention of migrants, including families and children. He argued that the EU focus on increasing border security was leading to an increased prioritization of detention as a solution (SRHRM 2013). Observers have also repeatedly criticized the abusive and unsanitary conditions in Turkish detention facilities, which according to the European Court of Human Rights (ECtHR) have operated without adequate legal authority. The situation is likely to become more acute with the recent adoption of the EU-Turkey readmission agreement in December 2013. The agreement obliges Turkey to readmit its own citizens as well as “third-country nationals” who enter the EU directly from Turkey. During 2011 alone, the EU reported that nearly 56,000 third-country nationals entered or attempted to enter the EU by way of Turkey (Güder 2013). As the readmission agreement can apply to persons who left Turkey up to five years prior to being identified in EU member states, the number of persons re-admitted could skyrocket. If Turkey follows established practice in other countries that have readmission agreements with the EU—likeUkraine—many of the readmitted people will be placed in detention. This is particularly worrisome in the case of Turkey as it retains a “geographical limitation” clause that restricts the country’s refugee protection regime to asylum seekers and refugees from Europe. The adoption by Turkey of its first overarching legal framework on migration and asylum in April 2013 is expected to provide some safeguards against abuse. On the other hand, while Turkish human rights advocates have welcomed the improved procedural standards provided in the law, they have been critical of the law’s inclusion of controversial provisions found in EU legislation, including provisions for accelerated procedures for asylum seekers, and its failure to eliminate geographical limits on international protection. Key Norms. The principal law governing immigration detention, Law No. 6458 on Foreigners and International Protection (hereinafter the “Law on Foreigners”) was adopted in April 2013 and came into force in April 2014. It provides Turkey’s first legal framework for the protection of asylum seekers and replaces a series of previous legal instruments—including the Passport Law, the Law on Sojourn and Movement of Aliens, as well as various “circulars” and regulations—that previously had been used as the basis for immigration-related detention. The new law was triggered by the EU accession process and aims to bring the country in line with EU and international humanitarian and human rights standards (EC 2013). It creates a specialized civilian institution under the Ministry of the Interior to manage all forms of migration, including with respect to international protection. The mandate of this new agency will include preparation of the implementing regulations for the establishment, management, and inspection of immigration detention facilities (UNHCR 2013). According to the Helsinki Citizens Assembly Turkey (HCA), it may take more than a year after the law comes into force for the new Directorate General for Migration Managementto fully take over implementation from the National Police, which is the agency currently mandated to manage immigration-detention and deportation practices (Durukan 2014b). Previously, in 2010, the Ministry of Interior had issued three circulars aimed at addressing issues raised in European Court of Human Rights (ECtHR) judgements as well as by various regional and international human rights bodies, including the European Committee for the Prevention of Torture. These intermediate “patch-like” attempts to address gaps in Turkey’s migration management included: (1) the Circular on Combating Illegal Migration (No. 2010/22); (2) the Circular on Reception at Centres and Informing those staying at Centres (No. 64/67); and (3) the Circular on Refugees and Asylum Seekers (No. 2010/23) (HCA-RASP 2011). Among the changes introduced in the these circulars was the adoption of the name “Removal Centre” (Geri Gonderme Merkezi) for facilities used to detain foreigners for administrative purposes, replacing the misleading and much criticised name “Foreigners Guesthouse” (Yabancilar Misafirhanesi). The circulars complemented existing legislation, including Law No. 5683, amended in March 2011 by the Law Amending Certain Laws for the Purpose of Speeding of Judicial Procedures (No. 6217); the Law on Sojourn and Movement of Aliens (No. 5687); the Law on Settlement (No. 2050); and the Passport Law (5682). Grounds for detention. The new Law on Foreigners provides several grounds for pre-removal administrative detention. Article 57 stipulates that detention can be ordered for “those who may abscond or disappear, who violate rules for entry into and exit from Turkey, who use fraudulent or unfounded documents, who do not leave Turkey in the granted period without an acceptable excuse, who constitute a threat to public order and security or public health” (Article 57(2)). The law specifies that the detention of persons seeking protection should be an exceptional measure (Article 68). Previously, the law was unclear about the grounds for confining non-citizens in administrative detention. The government frequently cited Article 4 of the Passport Law (Law No. 5682 of 1950) and Article 23 of the Law on the Sojourn and Movement of Aliens (Law No. 5687 of 1950) as grounds for “accommodating” undocumented foreign nationals. Article 4 of the Passport Law provides that foreign nationals who arrive at the Turkish border without appropriate documentation are not admissible, and that those who claim to have lost their documents during travel must stay at a location indicated by the administrative head of the local government until the Ministry of the Interior (MOI) has completed an investigation. Article 23 of the Law on the Sojourn and Movement of Aliens provides that non-citizens who have been issued a deportation order but whom the state cannot immediately deport must “reside in a location assigned to them” by the MOI. Various international bodies have argued that while these laws do not provide for detention, the type of accommodation carried out by authorities on the basis of these laws amounted to a clear deprivation of liberty and that the facilities used for this purpose operated as detention centres. In Abdolkhani and Karimnia v. Turkey (2009) the European Court of Human Rights (ECtHR) stated that Turkey’s system for detaining foreign nationals had no legal basis and that the applicants had been arbitrarily detained in violation of Article 5 of the European Convention on Human Rights. (For a detailed account of problems posed by administrative detention in Turkish law, see Abdolkhani and Karimnia v. Turkey, paras. 125-143; see also WGAD 2007 and ECHR Z.N.S. v. Turkey). More recently, in December 2013, the ECtHR ruled in Ghorbanov and Others v. Turkey (no. 28127/09) that the rights to liberty and protection from ill-treatment of 19 Uzbek nationals had been violated by their repeated summary detention and subsequent deportation to Iran in 2008, which the court argued occurred without judicial authority. Criminalisation. People who violate immigration-related laws can be subject to fines (Article 102, Law on Foreigners and International Protection). However, the new law does not include provisions that were found in previous laws providing for criminal prosecution and prison sentences. As such, Turkey appears to reflect a trend found in some European countries, including Hungary and Malta, which have decriminalised immigration violations in recent years. Previously, authorities could seek criminal prosecution for violations of various provisions of the Passport Law. According to HCA, these sanctions were not systematically applied and persons were usually detained as a result of an administrative decision without a judicial review (HCA 2011). Amendments to the Passport Law adopted in 2011 suppressed criminal charges and prison sentences (Articles 233-35). In addition, the Law on the Sojourn and Movement of Aliens (No. 5687) provided for the imprisonment of foreigners for immigration-related charges. Article 25 provided for imprisonment for up to two years for non-citizens who leave their designated place of residence without permission. Article 26 provided prisons sentences of up to six months and fines of up to 1000TL for people who tried to enter Turkey after being deported or after being invited to leave Turkey (Article 26). As highlighted by HCA, Article 26 appeared to be at odds with the 2011 amendments to the Passport Law decriminalizing illegal entry and exit (HCA 2011). Length of detention. Under the new Law on Foreigners, detention can last up to one year (six initial months plus a maximum of six additional months) (Art. 57 (3)). The Special Rapporteur on the Human Rights of Migrants has argued that this is too long a period for immigration-related detention and that monthly reviews of detention should ensure that migrants are not detained for prolonged periods (SRHRM 2013). Turkish law did not provide a limit to the duration of immigration detention until the adoption of the 2010 circulars mentioned earlier. According to the Circular on Reception at Centres and Informing Those Staying at Centres, detention was to last for an initial period of no more than 90 days. It could be extended for another 90 days, or up to six months in total (HCA 2011). There have been recent court cases involving non-deportable people who were detained for nearly two years based on grounds provided in Article 23 of the Law on the Sojourn and Movement of Aliens. In 2010, the European Court of Human Rights ruled in Ahmadpour v. Turkey (Appl.no.12717/08) that detention of the applicant for more than 18 months was unlawful. In another instance, the applicant was detained for over 22 months and his deportation was stopped thanks to an ECtHR interim measure (HCA-RASP 2011). In HCA’s experience, persons detained at points of entry are held for short periods and then either deported or transferred to a designated removal centre. Detaining authorities. Before 2010, the Department of Foreigners, Borders, and Asylum of the National Police issued deportation decisions and transmitted them to the relevant provincial Foreigners Police; however, no separate instructions were issued for detention either before or after a deportation instruction was issued (HCA-RASP 2011). The 2010 Circular on Combating Illegal Migration provided that “illegal” migrants could be apprehended by the Provincial Security Directorate (police), gendarmerie, and coast guard. However, once apprehended they were to be promptly handed over to the Foreigners’ Department of the Provincial Security Directorate (HCA 2011). The new Law on Foreigners stipulates that “law-enforcement units” can apprehend people for immigration-related reasons (Article 57). It also shifts all implementation regarding migration and international protection, including the issuing of deportation decisions and oversight of removal centres, from the police to the local offices of the Directorate General for Migration Management in each provincial governorate. According to Article 103 of the law, the Directorate General is to implement migration policies and strategies; ensure coordination among relevant institutions and organizations; and carry out the tasks and procedures related to foreigners’ entry into, stay in, and exit from Turkey as well as their deportation. Deportation. Article 54 of the Law on Foreigners provides for deportation based on several immigration-related grounds, including inter alia overstaying a visa, cancellation of a residence permit, violating provisions of entry or stay, and rejection of application for international protection. In 2009, Turkish authorities told the European Commissioner for Human Rights that deportees are responsible for their own deportation costs, as stipulated in Turkish law, with only a limited (and generally insufficient) MOI budget allocated to deport those unable to pay their own way (CHR 2009). In some cases migrants remained in detention until the authorities paid for their deportation-related expenses (HCA-RASP 2011). This procedure is retained in the new Law on Foreigners. However, when necessary, costs are covered by the MOI. Additionally, the MOI is authorized to cooperate with international organizations, institutions of related countries, and non-governmental organizations to asisst deportation procedures (Article 60 (4)). In 2011, HCA reported that “irregular migrants” from Somalia and Palestine were usually released shortly after their detention as deportation to both these places is not possible from Turkey. This was corroborated by the Special Rapporteur on the Human Rights of Migrants during his 2012 visit to the country. In the report on this visit, the Special Rapporteur stated that “migrants of some nationalities, who cannot be returned due to lack of diplomatic relations between Turkey and their country of origin, were released quickly” (SRHRM 2013). Minors. The Law on Foreigners provides that the best interest of children shall be respected. However, it also provides that families and unaccompanied children can be detained for removal purposes but that they should be given separate accommodation arrangements at removal centres and that children are to have access to education (Article 59 (1-ç-d)). Unaccompanied minors who apply for international protection, on the other hand, are not to be detained. Those aged below 16 years will be placed in a government-run shelters, while those over 16 can be placed in “reception and accommodation centres provided that favourable conditions are ensured” (Article 66). Prior to the 2013 law there were no specific legal provisions with regards to the detention of minors. However, a 2006 Ministry of Interior “implementation directive” (Security Circular No.57) defining asylum procedures under Turkey’s 1994 Asylum Regulation stated that temporary asylum applications for unaccompanied minors were to be fast-tracked so that minors could be transferred to shelters of the State Child Protection Agency (SHÇEK). According to rights groups, minors have often been apprehended with adults by the gendarmerie, coast guard, and police before being able to apply for asylum. Large numbers of separated minors have been denied access to the country’s asylum procedure and subject to refoulement (HCA-RASP 2011). There have also been reports of unaccompanied minors being placed in detention with adults and not being able to access child protection services (EC 2012). During his visit, the Special Rapporteur on the Human Rights of Migrants expressed concern about the situation of children at both the Kumkapi and Edirne removal centres. Boys over the age of 12 apprehended with their mothers were automatically separated from their mothers and placed in orphanages (SRHRM 2012). The UN Committee on the Rights of the Child observed in 2009 that Turkey had failed to establish effective mechanisms to identify refugee and asylum-seeking children. It recommended training of border authorities and recalled that the best interests of the child and the principle of non-refoulement are primary considerations for the decision-making process regarding repatriation of such children (CRC 2009). In 2012, it reiterated its concerns about the detention of asylum seeking and refugee children with adults (CRC 2012). The Circular on Combating Illegal Migration provided for gender segregation and for children to remain with their mothers (HCA 2011). There was no requirement for the segregation of criminal offenders from other detainees (HCA 2007a). Asylum seekers. Turkey is one of a small group of countries that retain a “geographical limitation” clause limiting their protection regime to asylum seekers and refugees from Europe. The new Law on Foreigners fails to lift this limitation, which has drawn widespread criticism. Despite the criticism, some observers have argued that Turkey would be potentially inundated with refugees, including many who would be “returned” from Europe, if it gave up this limitation. According to Kemal Kirisci of the Brookings Institution, “If Turkey were to lift the geographical limitation without being a member of the European Union, I think it would fall into a situation worse than that Greece,” which has confronted enormous migration pressures as well as intense criticism from its European partners. Arguing that Turkey is within its rights under international law in maintaining the restriction, Kirisci asks: ''Why should Turkey give away such a right without European Union membership itself? I see this as a hard bargaining chip with the European Union” (Güsten 2012). The geographical limitation is particularly significant in the case of Turkey because people seeking international protection there almost exclusively come from “non-European” countries, including Syria, Iran, Iraq, Afghanistan, and Somalia. An estimated 800,000 Syrians were in Turkey as of early March 2014 under a group-based “temporary protection” arrangement. This “open door policy” contrasts sharply with Turkey’s restrictive response to asylum seekers from other countries. As of February 2014, there were approximately 83,000 such individual protection seekers (Durukan 2014b). Whereas with the group-based approach applied in the case of Syrians temporary protection is automatic, individual non-European asylum seekers must pursue two separate parallel processes, a refugee determination procedure with UNHCR and an application procedure with the Ministry of the Interior. UNHCR is then tasked with trying to resettle these people elsewhere (HCA 2011). Registered asylum seekers can be placed in detention for failing to comply with “temporary asylum” procedures established by Turkey for non-European asylum-seekers, for leaving their assigned “satellite city” without permission, or for attempting to irregularly enter Greece (HCR-RASP 2011). According to rights advocates, while Syrians registered as part of the “temporary protection” regime are generally not detained and quickly released when apprehended during an attempt at irregular entry, other nationalities of “refugees in transit” routinely find themselves in detention and are denied access to Turkey’s asylum procedure (Durukan 2014b). In addition, those who lodge their application for international protection in a reasonable period of time on their own accord shall not be subject to a criminal proceeding for illegal entry or presence (Article 65 (4)). While people can apply for international protection after being detained, the assessment of these applications will not disrupt enforcement of other judicial and administrative actions or measures and sanctions (Article 65 (5)). Previously, there were numerous reports of detained asylum being blocked access to UNHCR. In 2010-2011, for instance, HCA filed 10 urgent applications to the ECtHR on behalf of individuals detained and at risk of refoulement, in breach of Article 3 of ECHR. In all cases, the individuals concerned were denied access to the asylum procedure and to UNHCR (HCA-RASP 2011). During his visit in 2012, the Special Rapporteur on the Human rights of Migrants met with several detained persons who could have had valid refugee claims but lacked knowledge of how to file an asylum application, and had not been able to communicate with UNHCR, lawyers, or civil society organisations. This was especially the case at the Edirne removal centre, which is located in a remote area. At Kumkapi removal centre, the Special Rapporteur met with several asylum seekers who had sought asylum only after they were placed in immigration detention. He noted that there could be many reasons for this—because they are not familiar with the asylum system, or they were afraid to contact the authorities. He observed that these asylum seekers were treated under an accelerated procedure, during which they were not released from detention, and that many of the applications were rejected within only a few days (SRHRM 2013). The new 2013 law retains provisions for an accelerated procedure for some applicants of international protection (Art. 79). Trafficked persons. Turkey revised its Criminal Code in 2006 to include penalties for smugglers and traffickers (Law No. 5237, Article 89). In 2011, the government began work on a comprehensive trafficking law. According to the legislation, victims of trafficking should be provided with shelter as well as legal, social, and mental health assistance. However, rights advocates contend that NGOs are not engaged early in the identification process and as a consequence unidentified trafficked persons are often detained and deported (HCA 2011; USDS 2012). In 2012, the UN Human Rights Committee recommended that Turkey “protect victims of trafficking from prosecution, detention or punishment for activities they were involved in as a direct consequence of their situation as trafficked persons” (HCR 2012). The new Law on Foreigners protects “victims of human trafficking benefitting from victim support processes” from expulsion (Article 55 (1)(ç)). It provides for the establishment of centres and shelters for victims of human trafficking, as well as for outsourcing operations at these facilities (Article 108 (1)(i)(6)). According to HCA, as of early 2014, a separate Law on the Protection of Victims of Trafficking was reportedly under development (Durukan 2014b). EU financial assistance. Since Turkey’s accession process kicked off in 2005, the EU has put increasing pressure on it to interdict undocumented migrants transiting the country en route to Europe (HCA 2009a). A key vehicle used to influence Turkish immigration policies has been the Twinning system of the European Commission (EC), established to support efforts by EU candidate states to restructure their public institutions and incorporate EU legislation. In 2005, the EU and Turkey established an “Action Plan for Asylum and Migration,” which contains legislation and development projects aimed at aligning Turkey’s asylum and migration system with EU legislation (Government of Turkey 2006c, p.8; HCA 2007a, p.12). According to the Ministry of Interior, the EU funds 75 percent of the border security projects aimed at building “Centres for fighting Illegal Migration, Repatriation and Deportation“ (Baklacioglu 2009). Under a 2007 Twinning project—titled “Support to Turkey’s Capacity in Combating Illegal Migration and Establishment of Removal Centres for Illegal Migrants”—the EU agreed to provide €15,000,000 towards the establishment of at least two removal centres and development of standards for their management by 2012. This project aims to “provide a better capacity to cope with illegal migration” and create centres devoted to “the purpose of controlling the illegal migrants to be removed” that will serve as models for future facilities (EC 2007, p.4-5; CHR 2009, p.30). A second 2007 twinning project entitled “Establishment of a Reception, Screening and Accommodation System (Centres) for asylum seekers and refugees” covers the “functioning of up to seven well-structured reception centres.” It includes a €47 million EU contribution and refers to “removal” as well as “reception” centres” (EC 2007b). According to the government, the “investment component” of this Twinning project includes the establishment of several asylum seeker reception and accommodation centres (each with a capacity of 750), in Istanbul, Izmir, Ankara (Ayas), Gaziantep, Van, and Erzurum provinces (CHR 2009, p.30). A 2010 project entitled “Establishment of Reception and Removal Centres - Phase II” provides a €9.7 million for the construction of six to seven reception centres and two removal centres, which were to be in operation by the end of the project, originally slated for 2012. Responding to a request from the Global Detention Project about the status of this project, a member of the EU delegation to Turkey wrote: “The project encompasses the construction of six reception and one removal centres. Operations at construction sites are still ongoing and it is expected that the centres will be completed within 2014. Reception centres are meant for asylum seekers. Each centre will include a number of individual compounds and residents will be allowed to walk in and out of the premises. Some shuttle service may also be organized to make the nearest urban settlements more easily reachable. The removal centre will host irregular migrants. In this case, return operations will need to be organised in order to repatriate them to their countries of origin. People staying in removal centres will have the possibility to apply for international protection and go through the refugee status determination procedures” (Budai, 2014). An EU “contract forecast notice” was issued in 2013 for “Supply of equipment for the establishment of reception and removal centres (phase II).” No public budget figures were available as of early 2014 (EC 2013b). In addition to receiving financial assistance from the EU, Turkey signed a Memorandum of Understanding with Frontex, the EU’s external borders agency, in May 2012. The MoU is intended to enhance operational cooperation between Turkey and Europe on border control, including participation in training activities and in joint operations, the deployment of Frontex experts to Turkey, and a more organised exchange of information and risk analysis (EC 2012). Readmission agreements. An important tool used by the EU and its Members States to externalize migratory pressures are readmission agreements, which establish obligations and procedures on how to “readmit” people who are irregularly residing in the EU, including in many cases third-country nationals. Turkey has been an important EU target for such an agreement. The Parliamentary Assembly of the Council of Europe has recommended that “member states and the European Union only negotiate and apply readmission agreements with regard to countries that respect human rights and those that have a functioning asylum system in place” (PACE 2010). However, advocates argue that Turkey does not have a functioning asylum system. Despite this, a Turkey-EU readmission agreement was signed in December 2013 (the “Agreement between the European Union and the Republic of Turkey on the readmission of persons residing without authorisation”). The agreement obliges Turkey, three years after it enters into force, to accept the return of third-country nationals as well as stateless persons. In exchange, Turkey is to receive further EU financial and technical help to bolster its border police and install border surveillance equipment (LIBE 2014). During negotiations over this agreement and at the finalization stage, Turkey made the signing, ratification, and future implementation of the agreement directly conditional on progress towards a visa-free regime between Turkey and EU. As of present, Turkey remains outside the visa-free regime applied to other candidate countries (MFA 2012; Kirisci 2014). However, a “visa dialogue” was launched between the two sides on the same day the readmission agreement was signed (Durukan 2014b). Additionally, human rights defenders have warned that the lack of substantial safeguards concerning the treatment of third-country nationals upon readmission to Turkey may lead to arbitrary detention (Euromedrights 2013). It remains unclear what will happen to readmitted third country nationals. In the case of Ukraine, persons readmitted to that country from the EU are charged with illegal border crossing and readmitted asylum seekers often face lengthy periods in detention. Turkey also has readmission agreements with several countries, including Greece. In 2010, under the existing bilateral readmission protocol between Greece and Turkey the two countries agreed to designate daily contact points among law enforcement staff for the smooth implementation of the protocol. In the first six months of 2011, Greece asked Turkey to readmit 2,508 persons; but Turkey agreed to accept only 450 (EC 2011). Turkey reportedly has bilateral agreements linked to readmission with Ukraine (1998), Syria (since 2003), Romania (since 2004), Georgia (since 2005), Spain, and Kyrgyzstan (since 2009). Other agreements have been signed but not ratified with Bosnia and Herzegovina (2002), Pakistan (2010), Russia, Nigeria (2011), Belarus, and Moldova (2012) (RDP 2013). An EU source indicates that Turkey concluded negotiations on the text of a bilateral readmission agreement with Serbia and that agreements were signed with Yemen, Belarus, and Montenegro. Ratification of the agreements with Pakistan and Belarus are pending (EC 2013a). Bangladesh and India have refused to sign such an agreement with Turkey (Government of Turkey 2006a, p.12). The new Law on Foreigners provides that detainees must be informed about the reason and duration of detention and the outcome of the review of the necessity of detention. They also have the right to legal counsel and the right to challenge their detention (Article 57 (5-6)). Lawyers, relatives, UNHCR, consular officials, and NGOs are supposed to be able visit detainees (Article 59). Previously, under the 2010 Circular on Combating Illegal Migration and the Circular on Reception at Centres and Informing those staying at Centres, detainees were to be informed in writing and in a language they could understand the reasons for their detention, the possible duration of their detention, their right to have access to a lawyer, and the possibility to appeal detention decisions. Written information was to be posted on visible public areas at removal centres (HCA-RASP 2011, EC 2011). In practice, while lawyers have generally been allowed to meet with immigration detainees, sources informed the Global Detention Project that there have been a number of practical limitations on the ability of detainees to receive proper legal assistance. There is a short supply of lawyers competent or interested in migration law, and most detainees cannot afford a lawyer. In addition, lawyers and UNHCR have been prevented from accessing the Istanbul Ataturk Airport transit zone, which the Helsinki Citizens’ Assembly describes as a rule of law “black zone.” Only a handful of NGOs have operational capacity to provide free legal assistance. Of these only HCA-RASP does litigation with Turkish courts and the ECtHR. As NGOs do not have access to removal centres, most of the counselling and assistance is done by telephone and many detainees are unable to contact them (HCA-ASP 2011). Because administrative detention was not recognized as such by Turkish authorities or under Turkish law until the 2010 circulars were adopted, there had been no systematic review of detention decisions. The 2010 Circular on Reception at Centres provided for a review but only when detention exceeds the 180 days limit for immigration detention set in the Circular (HCA 2011). HCA-RASP has reported mixed success with immigration litigation in domestic courts. In some cases, the competent court in Ankara has halted detention after ruling it unlawful; in other cases, the court denied HCA-RASP’s motions to end detention even though the plaintiffs were undeportable as a result of binding Interim Measures issued by the ECtHR (HCA-RASP 2011). In a March 2013 judgment by the ECtHR involving an Iranian refugee who had challenged his detention at the Kumkapi Centre, the court concluded that “the Turkish legal system did not provide the applicant with a remedy whereby he could obtain a speedy judicial review of the lawfulness of his detention, within the meaning of Article 5 § 4 of the Convention” (Athary v. Turkey, 2013, Application no. 50372/09) § 42). Non-custodial measures. The Law on Foreigners provides for the first time non-custodial measures, including residence at a designated address and reporting requirements (Articles 57(4) and 71 (1)). International monitoring. International and regional human rights mechanisms have investigated Turkish detention policies and practices on numerous occasions over the last 20 years. In 1994, after one of its first visits to Turkey, the European Committee for the Prevention of Torture (CPT) highlighted the widespread use of police stations for immigration-related detention and urged authorities to establish specialized facilities. Turkey responded to this recommendation stating that while it would take it into consideration, it regarded its current facilities—which at the time were holding rooms in Foreigners Police Bureaus—to be specialized. For the CPT, however, a key problem with these facilities was that they lacked specially trained people to handle immigration detainees. More recently, after a visit in 2009, the CPT emphasized conditions of detention, including instances of ill-treatment, overcrowding, inadequate food and hygiene, lack of access to health care and recreation, and censorship of correspondence. The CPT recommended that all immigration detainees have access to a lawyer, that a maximum period of immigration detention be set in law, that detention of minors be exceptional and detainees be provided access to UNHCR. The Committee also said that foreign nationals held in the airport transit zone be allowed to contact and meet representatives of UNHCR (CPT 2011). In 2010, the UN Committee against Torture (CAT) asked Turkey to ensure access by independent monitoring bodies to “foreigners’ guesthouses” and other places of detention and to construct safer and healthier “shelters.” CAT also asked Turkey to consider lifting the geographical limitation to the 1951 Geneva Convention Relating to the Status of Refugees; ensure effective access to the asylum procedure for apprehended foreigners kept in detention; ensure access to lawyers and UNHCR personnel; and of lawyers to asylum-seekers and refugees in detention so as to ensure their right to challenge decisions concerning their asylum application or other aspect of their legal status before appropriate legal tribunals (CAT 2012). During his visit in June 2012, the Special Rapporteur on the Human Rights of Migrants stressed that the systematic detention of irregular migrants, including persons unlikely to be removed and children and families, should be avoided. He advocated for the use of non-custodial alternatives to detention. He recommended that access by lawyers, civil society organisations, UNHCR, and other international bodies to all places of detention—including the transit zone at Istanbul Atatürk Airport—be assured and urged improvements in access to medical care, adequate food, hygienic conditions, and interpreters. To help prevent abuses, he said that police officers and others working in detention facilities should receive human rights trainings (SRHRM 2013). National Preventive Mechanism. Turkey ratified the Optional Protocol to the UN Convention against Torture (OPCAT) in 2011. In January 2014 the country designated its recently established National Human Rights Institution as its National Preventive Mechanism (NPM) under OPCAT by means of a cabinet decree published in the Official Gazette on 28 January 2014. NPMs are empowered to visit all placed of detention including places of immigration detention (APT 2014). Turkey has used a broad assortment of sites for the purposes of immigration-related detention, including police stations, ad hoc sites, specialised detention centres, and transit facilities. The main immigration detention infrastructure in the country is a network of dedicated facilities called “Removal Centres,” which were previously officially referred to as “Foreigners Guesthouses.” The Global Detention Project has been unable to get an official or comprehensive list of these facilities. However, according to various sources, such facilities are in operation in most major cities (CHR 2009, p.15; HCA-RASP 2011). The GDP has been able to corroborate information about 14 centres that routinely confine significant numbers of undocumented migrants. These include five in northwestern Turkey (Edirne, Kirklareli-Gaziosmanpasa, Tekirdag, Istanbul-Kumkapi, and Bursa); five along the Mediterranean coast (Canakkale-Ayvacik, Canakkale-Kucukkuyu, Izmir, Aydin, and Mugla); two in southern Turkey (Hatay and Adana); and two ineastern Turkey (Van and Agri) (Durukan 2014b; HCA-RASP 2011). Removal Centres are under the authority of the Ministry of Interior and currently managed by the National Police. Under the 2013 Law on Foreigners and International Protection, the newly established Directorate General of Migration Management will take full control of the centres. However, the law authorises the new agency to “delegate operation of the centres to public institutions and organizations, Turkish Red Crescent Society, or associations working for public interest with expertise in the area of migration.” The law also foresees that matters related to “the establishment, management, operation, transfer, and supervision of removal centers” will be governed by dedicated implementing regulations (Article 58). Currently the main Implementing Regulation of the new law as well as a separate new Circular regarding the management of Removal Centers are reportedly in the pipeline (Durukan 2014b). In addition to these facilities, undocumented migrants have been detained at police stations and gendarmerie posts—including those in Istanbul, Izmir, and Van—as well as at a juvenile detention facility in Istanbul and at transit zone “detention rooms” at the Istanbul Ataturk Airport and other international airports, including Istanbul’s Sabiha Gokcen Airport (Durukan 2014b; AI 2009, p.26; HCA 2007a, p.9). NGOs providing legal assistance in some provinces in Turkey have reported that Foreigners Police branches operate dedicated removal centres that are separate from the Foreigners Police branch offices. In provinces where the Foreigners Police branches do not have dedicated facilities, they utilize either a general purpose police detention room or some other law enforcement-related building for the purpose of detaining apprehended irregular migrants, pending transfer to other facilities (HCA-RASP 2011). EU-funded projects and the 2013 Law on Foreigners both refer to additional facilities called “reception and accommodation centres,” which are to be used to shelter international protection applicants. However, it appears that these open centres may also have dedicated detention sections to be used for the detention of certain categories of international protection applicants (Article 68). A “Joint Declaration” on technical assistance annexed to the EU-Turkey readmission agreement provides for the “establishment of reception centres and border police structures” as part of an effort to enhance Turkey's capacity to prevent irregular migrants from entering, staying, and exiting its territory, as well as to improve the “reception capacity for the intercepted irregular migrants.” Although the language in the declaration fails to clearly indicate whether these facilities will be used to deprive migrants of their liberty, detention has been a primary objective of bilateral agreements established by the EU as part its external migration and asylum policy. Despite the “reception” terminology, according to HCA the Declaration seems to focus mainly on the construction of additional detention facilities capable of delivering minimum standards regarding material conditions (Durukan 2014b). As of February 2014, there were no "reception and accommodation centres" for international protection applicants. However, six such centres being built with EU funding were slated to become operational by the end of 2014 (for more on the status of these construction projects, see the section on “EU financial assistance” above). New construction. Several new detention facilities are planned or are already under construction. Some of the new construction is reportedly aimed at replacing detention spaces that will be lost as oversight of removal centres shifts from the National Police to the new Directorate General for Migration Management. According to HCA, once this shift has been completed, detention facilities located on the premises of Foreigners Police buildings will no longer be used for immigration-related detention. Thus, authorities have commissioned the building of seven new removal centres (Durukan 2014b). The EU is financing the construction of new detention facilities. An official with the EU delegation to Turkey stated in an email to the GDP that EU-assisted construction projects on six reception facilities and one detention centre were still ongoing as of early 2014, but that these were slated to be completed by the end of the year (Budai 2014). Previously, in 2009, the government announced a series of reforms to several facilities, which the GDP has been unable to independently corroborate. In a report that year, the government claimed, “The guesthouse in Bitlis province that was built in 1980 with a capacity of 750 will be renovated by fall 2009. Two former prisons will be converted to in Burhaniye and Ayvalik, Balikesir provinces by 2010/2011” (CHR 2009, p.32). Renaming the “Foreigners Guesthouses.” The Global Detention Project formerly categorized Turkish “guesthouses” as ad hoc detention centres because they operated until 2010 in an improvised legal context that did not clearly establish grounds for holding people in administrative detention. The adoption of a set of secondary legislation in 2010 provided elements of a legal framework, which according to observers has never been fully implemented (HCA-RASP 2011). The new Law on Foreigners largely consolidates and reiterates the 2010 reforms. A key criticism levelled at Turkey while the previous detention regime was in place was that the name “guesthouse” failed to communicate that these centres were actually sites of deprivation of liberty. The March 2010 Circular on Combating Illegal Migration changed the name of these facilities from “foreigners’ guesthouses” to “removal centres.” The change closely followed a pivotal ECtHR decision that emphasized the absence of a legal basis for immigration detention in Turkey (Abdolkhani and Karimnia v. Turkey dated 22 September 2009). The court stated that the guesthouses were in fact places of deprivation of liberty and that this was not grounded in legislation. Likewise, in 2009, the European Committee for the Prevention of Torture urged officials to consider adopting the term “detention centres” “rather than the misleading euphemism ‘guest houses,’ since the persons held in these centres are undoubtedly deprived of their liberty” (CPT 2011). Total detention capacity. There is no official information available on Turkey’s total immigration detention capacity and there have been numerous conflicting reports on this. A 2007 European Commission Twinning proposal estimates that Turkey’s “guesthouses” had a collective capacity of around 900 people (EC 2007, p.4). Independent observers, on the other hand, estimated at ropughly the same time that the country’s detention capacity was much higher. HRW, for example, observed in 2008 that the Kirklareli facility alone had a capacity of 2,500 (HRW 2008, p.40-41). More recently, a 2013 European Commission study reported that “The capacity of Turkey to host [emphasis added] irregular migrants decreased in 2012 (1,941) as compared with 2011 (2,176)” (EC 2013a). Yet, in 2009, a Turkish political scientist estimated the capacity of six upgraded removal centres to be 7,030 (Baklacioglu 2009). The March 2010 Circular on Combatting Illegal Migration instructed all Turkish provinces to have the capacity to detain at least 50 people. The provinces of Agri, Balikesir, Canakkale, Mersin, Hatay, Mugla, Batman, and Gaziantep—which are largely along the Iranian and Syrian borders—were requested to create more capacity due to a higher level of apprehensions. In addition 100-person removal centres were to be created in provinces of Sirnak, Sanliurfa, Konya, Tekirdag, Igdir, and Duzce (HCA-RASP 2011). Conditions of detention. National and international observers have repeatedly criticized conditions at Turkish detention facilities for nearly two decades (see, for example, CPT 1994, CPT 2001, CHR 2009, HRW 2008, and HCA 2007, CPT 2011). In addition, the European Court of Human Rights (ECtHR) has made rulings on several cases involving conditions at detention facilities. A recent account on detention conditions was provided in the European Commission’s progress report on Turkey’s EU accession process. Its 2012 report noted that while there had been some improvements in treatment and detention conditions at removal centres, pending the adoption and implementation of the Law on Foreigners and International Protection, critical gaps in law and policy would remain. In particular, the report noted that unaccompanied minors remained at risk of being detained alongside adults and without access to state child protection services; that there was lack of access to UNHCR services and asylum procedures; and that there was a lack of psycho-social services (EC 2012). There is no comprehensive set of rules/guidelines for the management and operation of removal centres. The Turkish National Police was tasked with drafting a “directive” to regulate issues concerning the management of removal centres, including the physical conditions in centres, staff to be appointed, the security of and in the centres, provision of food and health, treatment of vulnerable groups, as well as involvement of civil society in the centres. As of 2011, no such “directive” had been adopted (EC 2011). In the January 2010 ruling on the case Z.N.S. v. Turkey, the ECtHR found that conditions at two Turkish detention facilities amounted to inhuman or degrading treatment in violation of Article 3 of the Convention. Following its visit to Turkey in 2009, the European Committee for the Prevention of Torture reported that “at Edirne-Tunça Detention Centre, the delegation received consistent accounts from several detainees of instances of collective beatings of male foreign nationals, and some allegations of physical ill-treatment (slaps and beatings) were also heard at Agri and Kirklareli.” The CPT recommended that police officers at the detention centres in Agri, Edirne-Tunça, and Kirklareli be reminded that all forms of ill-treatment of immigration detainees are not acceptable and will be punished accordingly.” (CPT 2011). The CPT asked that all immigration detainees at the detention centres in Agri, Edirne-Tunça, Istanbul-Kumkapi, Konya and Van should benefit from at least one hour of outdoor exercise per day (CPT 2011). The Kumkapi Removal Centre (Istanbul) was established as a “Foreigners’ Guesthouse” in 2007 with a capacity of 560 (360 for males and 200 for females). The European Commissioner for Human Rights visited the facility in 2009 and reported that there were “generally good material and sanitary standards.” The CPT stated that the centre’s official capacity of 560 places was far higher than it should be, in particular because the living space provided in each detention room was insufficient (58 m² for 30 beds) and communal rooms were inadequate in terms of size and equipment (one communal room equipped with eight tables was meant to service a detention area housing 120 people). The CPT recommended that steps be taken to significantly reduce the official capacity of the facility and to ensure that future occupancy levels be kept within the limits of the new capacity (CPT 2011). The former “Tunça Camp” guesthouse (Edirne) (HCA 2007a, p.9) was the subject of particularly harsh criticism, including a 2008 HRW report that described how some 400 male detainees were at one point held in a single room in “abysmal” conditions that were “completely unfit for human habitation, even for short duration.” The rights group accused the MOI of intentionally keeping conditions “degrading and inhumane as a means of coercing detainees to self deport” (HRW 2008, p.37-40). In 2009, several months after HRW released its report, the Turkish government announced that the facility was to be closed and a new facility built to replace it (CHR 2009, p.32). The Human Rights Investigation Commission of the Grand National Assembly of Republic of Turkey- visited the Edirne Removal Centre and issued a public report in 2010 focusing on the infrastructure and population in the facility (HCA-RASP 2011). The “Tunca Camp” was demolished and the new 650 capacity Edirne Removal Centre became operational in February 2012 (Durukan 2013). At the Edirne Removal Centre detainees reportedly have limited ability to contact their families, virtually no access to legal assistance or consular services, little to no professional interpretation services, very little information about their situation, and restricted ability to challenge their detention. Following his June 2012 visit, the Special Rapporteur on the Human Rights of Migrants observed that in contrast to operations at other detention facilities, the detainees’ mobile phones were taken from them at Edirne, and they could only make phone calls from a pay phone if they could pay for it themselves. There was no information available in the centre on how to contact lawyers, civil society organisations and UNHCR or consular authorities. Detainees informed the Special Rapporteur that there had been riots in the centre the day before he was there, and that several detainees had bruises they claimed resulted from beatings by the guards. The Special Rapporteur also reported that guards had difficulties controlling the detainees, many of whom were desperately trying to talk to him during his visit. Access to medical care was insufficient as some of the people the Special Rapporteur met with had visible health problems but claimed not to be receiving any medical care (SRHRM 2013). The Kirklareli Removal Centre was, as of 2011, surrounded by a chain-link fence topped with barbed wire. The courtyard and corridors within the facility were monitored through closed circuit television systems. Detainees were allowed to go to the courtyard between 08.30 a.m. and 17.30 p.m. (HCA-RASP 2011). While there is no separate space for families at Kirklareli, a strict gender segregation is imposed which leads to the separation of married couples. Males are held in cell-type rooms with iron doors having an upper level port for observation, and a lower level port for serving (HCA-RASP 2011). The Izmir Removal Centre, located in an industrial district in the outskirts of Izmir, was rebuilt in 2008 and has a capacity of 250. The facility includes an infirmary with 14 beds, an outside courtyard, and a common cafeteria. Rooms accommodate 20 people each and women and children are segregated from men. There were 25 people at the facility at the end of June 2009 (CHR 2009, p.15-16). Conditions at the rebuilt facility are reportedly vastly improved since HRW published an account of the former Izmir guesthouse in 2008, where migrants were “held underground” for weeks at a time in overcrowded, poorly ventilated rooms (HRW 2008, p.41). The Centre operates under the authority of Izmir Directorate of Security Foreigners Police Branch and is guarded by armed police officers. Within the facility however, police officers are in civilian clothes and do not carry guns. The centre is monitored by a closed circuit television system (CCTV), but the CCTV system only partially covers the compound. Only women and minors are allowed to go outdoors during the day (HCA-RASP 2011). A new 350-capacity Removal Centre in Aydin became operational in April 2012 (Durukan 2013). The facility that previously served as Aydin Removal Centre was a small building with a reported capacity of 250. Women are segregated from men but there is no segregation for minors. The centre often gets overcrowded, particularly during the summer months. Families are held in a separate section provided that there is room. As of 2011, detainees were not allowed outdoors, there were no private toilet facilities, and detainees claimed there were inadequate food provisions. In 2011, detainees staged a strike in protest of the poor conditions at the centre (HCA-RASP 2011). The Mugla Removal Centre located approximately 10 kilometers outside Mugla is a small one-storey building with a reported capacity of 50. Women are segregated from men but there are no separate units for families and minors. As of 2011, armed police officers were responsible for managing and operating the facility and three to four police officers were stationed at the facility at any given time. Detainees complained of lack of access to healthcare and phones, and there had been repeated reports of ill-treatment at the centre (HCA-RASP 2011). According to the European Committee for the Prevention of Torture, the Agri Removal Centre is located on the premises of Agri Police Headquarters and has an official capacity of 30. Only three male foreign nationals were detained there at the time of the CPT visit in 2009 and over 90 foreign nationals were held there on several occasions in 2008. In 2009 there was a period of 14 days when there were never less than 68 detainees and, on one occasion, 86” (CPT 2011). According to the CPT, the Agri detention facilities were located below ground level with limited access to natural light especially no natural light at all and poor ventilation in the detention room for women and children. Conditions were cramped (24 beds in 39 m² for men; six beds in 12 m² for women, not counting accompanying children), and the centre was repeatedly suffered severe overcrowding. Beds, mattresses and blankets were soiled and in a poor state of repair. The CPT recommended that the Agri Detention Centre should under no circumstances operate above its official capacity and observed that it was totally unsuitable as a place to hold young children with their mothers” (CPT 2011). A new 350-bed removal centre in Van became operational in the summer of 2012 (Durukan 2013). The facility that previously served as Van Removal Centre was located on the premises of the Van Police Headquarters and had an official capacity of 65 places in 2009. On the day of the CPT visit in July 2009, there was only one foreign national present, waiting for the outcome of a complaint lodged with the European Court of Human Rights (CPT 2011). However, in subsequent letters to the CPT of 23 September, 22 October and 23 November 2009, Turkish authorities provided monthly statistics on the number of immigration detainees in all the detention centres in Turkey: the detention centre in Van was apparently accommodating as many as 289 detainees at the end of August, and 118 detainees at the end of September 2009. The CPT said that such levels of overcrowding were totally unacceptable given the limited space available and the poor material conditions at the Centre and called upon the Turkish authorities to prevent any repetition of such overcrowding” (CPT 2011). Istanbul Ataturk Airport International Terminal “Problematic Passengers Room” is located within an important border crossing point, where migrants may be arrested and detained, both those who are trying to enter Turkey and those who are in transit (SRHRM 2013). The premise is under the supervision of the Passport Police based in the Istanbul Ataturk Airport. Rights groups have observed that legal assistance is not available to people held in this facility (HCA-RASP 2011). On the day of the CPT visit in June 2009, there were 13 foreign nationals confined at the facility (seven women and six men). According to the custody book, more than 3,400 foreign nationals had been held in there since the beginning of 2009. The vast majority of them stayed for very short periods, pending their departure on the next possible flight. Only in exceptional cases were persons held there for more than 24 hours (CPT 2011). KEEP this shows incoherence both in mechanisms… who visit twice in a short spell of time, and in stats provided by officials. The transit facility is comprised of two identical detention rooms, one for males and one for females. Based on testimony of two male clients, the Helsinki Citizens Assembly reported in 2011: “There are 15 sofas in the room for male detainees which are convertible to beds, no blankets and cushions are provided and bedding is very dirty. The room is painted white and generally clean. Yet, rooms do not have any window; thus, detainees lack proper ventilation and a complete lack of fresh air/outdoor exercise. There is a toilet and shower in the room. Hot water is provided. No soap or toothpaste or any other cleaning material are provided. Detainees’ requests to buy these items are denied. The room has only one door which has a hole-like opening allowing detainees to see outside. Meals are provided 3 times a day, yet not in sufficient quality. There is a payphone in the room. Security officials sell phone cards. There is a television in the room broadcasting one Turkish channel. There is also another empty room with chairs only. Detainees stated that some individuals were held in that room for 2 days” (HCA-RASP 2011). Also according to HCA: “In April 2011, one detainee testified that another detainee was taken from the detention room around 15:25pm. He began to shout in English two words: ‘asylum’ and ‘UNHCR’ and tried to physically resist being dragged by the police to express his strong objection to being refouled. In response, airport police ‘made an injection to him’ and dragged him away from the detention area. In April 2011 also a detainee reported that three individuals held in the premise were covered with blood in their head and face area, and the area around their eyes was black as a result of the repeated beating” (HCA-RASP 2011). Between 2009 and early 2014, HCA filed 12 urgent applications with the European Court of Human Rights on behalf of individuals detained at Istanbul Ataturk Airport. All cases involved allegations of arbitrary denial of access to asylum procedures and risk of imminent refoulement to unsafe countries of origin or transit. Of these applications, nine have resulted in the ECtHR issuing interim measures seeking the suspension of deportation (Durukan 2014b). During his 2012 visit to Turkey, the Special Rapporteur on the Human Rights of Migrants visited the detention facility at Istanbul Atatürk Airport. He reported that although Turkish authorities claim that the “problematic passenger room” is under the authority of a private company, and not within the jurisdiction of Turkish authorities, it is a place of detention, as the persons held there are not free to leave. He reported that he had difficulties gaining access to the room because authorities claimed they did not have jurisdiction. He highlighted reports of people being detained for lengthy periods of time at the facility and found that Turkish authorities did not appear to be monitoring effectively how migrants are treated in the transit zone (SRHRM 2013). 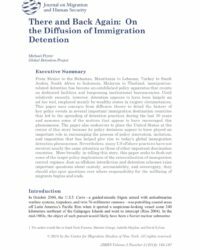 According to various reports, there are approximately two dozen dedicated immigration detention facilities (formerly known as “guesthouses”) in Turkey (HCA 2010; CHR 2009, p.15). The Global Detention Project has received information about 14 removal centres and two airport transit zone facilities that were in use of 2014. Sources indicated that several other facilities were in operation at the time, but now independent verification was available (Durukan 2014b). While there has been no established maximum limit on the duration of detention, until 2013 non-citizens awaiting deportation tended to be detained for anywhere between a few days and 12 months. In 2012, 47,510 irregular migrants were apprehended by the Turkish authorities and 21,332 were apprehended between 1 January and 2 August 2013. In 2012, 21,059 persons were deported and 16,060 between 1 January and 2 August 2013. In 2012, the number of third country nationals detected by EU Member States’ law enforcement agencies while attempting to enter the EU illegally and from Turkish territory decreased by 33 percent compared to the previous year. The decreasing trend continued in 2013: there were only 7,032 such cases in the first half of 2013. A large share of the third-country nationals detected at the EU external border coming from Turkish territory were found to have previously entered Turkey through regular channels (EC 2013a). During the 10-year period leading up to 2006, 580,000 irregular non-citizens were apprehended in Turkey (Government of Turkey 2006a). The numbers of migrants apprehended in Turkey increased from 10,000 in 1995, to more than 90,000 in 2000. The numbers dropped to below 60,000 in 2005 (Government of Turkey 2006). In 2005, Turkey rejected 8,008 people at the border (Government of Turkey 2006b). Some 57,000 irregular migrants were identified in Turkey in 2005, and 14,500 irregular migrants were identified between 1 January and 7 July 2007 (Twinning 2007). According to the government, “Between 1999 and 2008 over 16.5 million Dollars (25,457,442 TRL) has been spent for food, shelter, health and transportation of illegal migrants” (Government of Turkey in CHR 2009). Turkey was one of the first countries to adopt a temporary protection status for Syrian refugees. An estimated 800,000 Syrians were in Turkey as of early March 2014 under a group-based “temporary protection” arrangement. Approximately half of the refugees were residing in 21 camps in ten provinces while the remaining were in urban settings (UNHCR 2013, 2014). In addition to the above mentioned mass influx of refugees from Syria, HCA reported that as of February 2014, approximately 83 000 individual refugees and asylum seekers (about 37 percent Iraqis, 37 percent Afghans, 15 percent Iranians, and 4 percent Somalis) were registered or “pre-registered” with UNHCR Turkey. The number of newly arrived asylum seekers approaching UNHCR in Turkey has increased from 5,000 in 2006 to approximately 43,000 in 2013, with higher numbers of Iraqi and Afghani applicants during this time. According to research by the Clandestino project, the number of irregular migrants ranged between 150,000 and 1,000,000 in 2007 (Kaya 2008). Abdolkhani and Karimnia v. Turkey. 2009. Judgment of the European Court of Human Rights. Application no. 30471/08. 22 September 2009. Amnesty International (AI). 2009. Stranded Refugees in Turkey Denied Protection. Amnesty International Publications. International Secretariat. London. April 2009. Association for the Prevention of Torture (APT). 2014. “Turkey – OPCAT situation.” Association for the Prevention of Torture. OPCAT Database. 5 February 2014. www.apt.ch/en/opcat_pages/opcat-situation-75/ (accessed 5 April 2013). Baklacioglu, Nurcan Ozgur. (2009). "Building “Fortress Turkey": Europeanization of Asylum Policy in Turkey.” www.jhubc.it/ecpr-porto/virtualpaperroom/096.pdf. Budai, Alessandro (European Union Delegation to Turkey). (2014). Email message to Mariette Grange (Global Detention Project). 19 March 2014. Geneva. Switzerland. Burch, Jonathon. (2013). “Turkey has new law on asylum, but sets limits for non-Europeans.” Reuters. 12 April 2013.www.reuters.com/article/2013/04/12/us-turkey-refugees-idUSBRE93B0XO20130412 (accessed 9 May 2013). Circular on Combating Illegal Migration . 2010. “Yasadisi Göçle Mücadele ile ilgili Genelge.” Türkiye Cumhuriyeti Içisleri Bakanligi (Republic of Turkey Ministry of Internal Affairs). Circular No. 2010/22. 23 March 2010.www.icisleri.gov.tr/default.icisleri_2.aspx (accessed 7 May 2013). Circular on Refugees and Asylum Seekers. 2010. “Mülteciler ve Siginmacilar ile ilgili Genelge.” Türkiye Cumhuriyeti Içisleri Bakanligi (Republic of Turkey Ministry of Internal Affairs).Circular No: 2010/23. 23 March 2010 .www.icisleri.gov.tr/default.icisleri_2.aspx (accessed 7 may 2013). Commissioner for Human Rights of the Council of Europe (CHR). 2009. Report by Thomas Hammarberg Commissioner for Human Rights of the Council of Europe Following his visit to Turkey on 28 June – 3 July 2009: Issue reviewed: Human rights of asylum seekers and refugees. Council of Europe. CommDH(2009)31. Strasbourg. 1 October 2009. Committee on Civil Liberties, Justice and Home Affairs (LIBE). 2014. “Clandestine migrants: Civil Liberties Committee backs EU-Turkey readmission agreement.” European Parliament. L IBE Press release - Immigration 22 January 2014. www.europarl.europa.eu/news/en/news-room/content/20140120IPR33181/html/Clandestine-migrants-Civil-Liberties-Committee-backs-EU-Turkey-return-agreement. Committee on Migration, Refugees and Population (PACE). 2010. “Readmission agreements: a mechanism for returning irregular migrants.” Parliamentary Assembly. Council of Europe. 17 March 2010.assembly.coe.int/ASP/Doc/XrefViewPDF.asp (accessed 28 March 2014). Durukan, Oktay (Helsinki Citizens’ Assembly Turkey). 2013. Email message to Mariette Grange. Global Detention Project. April 2013. Durukan, Oktay (Helsinki Citizens’ Assembly Turkey). 2014. Email message to Mariette Grange. Global Detention Project. February 2014. Durukan, Oktay (Helsinki Citizens’ Assembly Turkey). 2014b. Notes on Draft Detention Profile. Global Detention Project. 3 April 2014. Euro-Mediterranean Human Rights Network (Euromedrights). 2013. ”An EU-Turkey Readmission Agreement-Undermining the rights of Migrants, Refugees and Asylum Seekers?” policy brief . “20 June 2013.www.euromedrights.org/eng/2013/06/20/an-eu-turkey-readmission-agreement-undermining-the-rights-of-migrants-refugees-and-asylum-seekers/ (accessed 19 February 2014). European Commission (EC). 2007. Twinning: Support to Turkey’s Capacity in Combating Illegal Migration and Establishment of Removal Centres for Illegal Migrants. Twinning Project No. TR 07 02 16. System (Centres) for asylum seekers and refugees. Twinning Project No. TR 07 02 17. European Commission (EC). 2010. “Commission Staff Working Document: Turkey 2010 Progress Report accompanying the document Communication from the Commission to the European Parliament and the Council Enlargement Strategy and Main Challenges 2010-2011.” European Commission. SEC(2010) 1327 final 9 November 2010.ec.europa.eu/enlargement/pdf/key_documents/2010/package/tr_rapport_2010_en.pdf. European Commission (EC). 2011. “Commission Staff Working Document: Turkey 2011 Progress Report accompanying the document Communication from the Commission to the European Parliament and the Council Enlargement Strategy and Main Challenges 2011-2012.” European Commission. SEC(2011) 1201 final.12 October 2011.ec.europa.eu/enlargement/pdf/key_documents/2011/package/tr_rapport_2011_en.pdf (accessed 19 April 2013). European Commission (EC). 2012.“Commission Staff Working Document: Turkey 2012 Progress Report accompanying the document Communication from the Commission to the European Parliament and the Council Enlargement Strategy and Main Challenges 2012-2013.” European Commission. SWD(2012) 336 final www.ipex.eu/IPEXL-WEB/dossier/document/SWD20120336.do (accessed 2 April 2013). European Commission (EC). 2013. “Joint statement by Commissioners Štefan Füle and Cecilia Malmström on the adoption by the Turkish Parliament of the law on foreigners and international protection.” European Commission. April 2013. ec.europa.eu/commission_2010-2014/fule/headlines/news/2013/04/20130405_en.htm (accessed 7 May 2013). European Commission (EC). 2013a. “Commission Staff Working Document: Turkey 2013 Progress Report accompanying the document Communication from the Commission to the European Parliament and the Council. Enlargement Strategy and Main Challenges 2013-2014.”European Commission. Com(2013) 700 Final}http://ec.europa.eu/enlargement/countries/strategy-and-progress-report/index_en.htm. European Commission (EC). 2013b. Turkey-Ankara: IPA — Supply of equipment for the establishment of reception and removal centres (phase II) 2013/ S 167-289329. Ted. Tenders electronic daily. 29 August 2013.ted.europa.eu/udl. European Commission. 2014. “EU jargon in English and some possible alternatives.” European Commission. Information Providers Guide. 28 March 2014. ec.europa.eu/ipg/content/tips/words-style/jargon-alternatives_en.htm(accessed 1 April 2014). European Committee for the Prevention of Torture and Inhuman or Degrading Treatment or punishment (CPT). 2001. Preliminary observations made by the delegation of the European Committee for the Prevention of Torture and Inhuman or Degrading Treatment or Punishment (CPT) which visited Turkey from 2 to 14 September 2001 and Response of the Turkish authorities. Council of Europe. F-67075. Strasbourg. 6 September 2006. European Committee for the Prevention of Torture and Inhuman or Degrading Treatment or punishment (CPT). 2006a. “Council of Europe Anti-Torture Committee visits Turkey.” CPT News Flash. 7 December 2006. European Committee for the Prevention of Torture and Inhuman or Degrading Treatment or punishment (CPT). 2006b. Report to the Turkish Government on the visit to Turkey carried out by the European Committee for the Prevention of Torture and Inhuman or Degrading Treatment or Punishment (CPT) from 7 to 14 December 2005. Council of Europe. CPT/Inf (2006) 30. Strasbourg. 6 September 2006. European Committee for the Prevention of Torture and Inhuman or Degrading Treatment or punishment (CPT). 2011. “Report to the Turkish Government on the visit to Turkey carried out by the European Committeefor the Prevention of Torture and Inhuman or Degrading Treatment or Punishment (CPT) from 4 to 17 June 2009.” . Council of Europe. CPT/Inf (2011) 13. 31 March 2011. www.cpt.coe.int/en/states/tur.htm (accessed 5 April 2013). European Union (EU). 2012. “Statement by EU Commissioner Cecilia Malmström on the initialling of the EU-Turkey Readmission Agreement.” Europa. MEMO/12/477. 21 June 2012. europa.eu/rapid/press-release_MEMO-12-477_en.htm (accessed 5 April 2013). Frontex. 2013. “Irregular Arrivals Were at Record High in the Third Quarter of 2013.” Frontex. frontex.europa.eu/news/irregular-arrivals-were-at-record-high-in-the-third-quarter-of-2013-qZCQJR (accessed 1 March 2014). Government of Turkey. 2006a. "Screening Chapter 24: Justice, Freedom and Security: Agenda Item 1B: Illegal Migration – Country Session: Republic of Turkey." Presentation to the European Commission from Country Session: Republic of Turkey 13 – 15 February 2006.www.abgs.gov.tr/files/tarama/tarama_files/24/SC24DET_ILLEGAL%20MIGRATION%20.pdf (accessed 25 January 2010). Government of Turkey. 2006b. Response of the Turkish Government to the report of the European Committee for the Prevention of Torture and Inhuman or Degrading Treatment or Punishment (CPT) on its visit to Turkey from 7 to 14 December 2005. Council of Europe. CPT/Inf (2006) 31. Strasbourg. 6 September 2006. Government of Turkey. 2006c. "(24) Justice, Freedom and Security Bilateral Screening with Turkey (13-15 February 2006): Replies to Issues and Questions Posed to the Turkish Authorities by the European Commission." European Commission. Güder Nagehan. 2013. “The Issue of Irregular Migration in the Light of Turkey- EU Relations and Its Effects on the Negotiations.” T.C.Marmara University - EU Institue - EU Politics and International Relations. 2013.marmara.academia.edu/NagehanG%C3%BCder (accessed 28 March 2014). Güsten, Susanne. “As Refugees Flood Turkey, Asylum System Nears Breakdown.” The New York Times. 26 September 2012.www.nytimes.com/2012/09/27/world/middleeast/as-refugees-flood-turkey-asylum-system-nears-breakdown.html; (accessed 8 may 2013). Helsinki Citizens’ Assembly (HCA). 2007a. Unwelcome Guests: The Detention of Refugees in Turkey’s “Foreigners’ Guesthouses”. Helsinki Citizens Assembly, Refugee Advocacy & Support Program (RASP). November 2007. Helsinki Citizens’ Assembly (HCA). 2007b. An Evaluation of UNHCR Turkey’s Compliance with UNHCR’s RSD Procedural Standards. Helsinki Citizens Assembly. September 2007. Helsinki Citizens’ Assembly (HCA). 2009a. “Detention of Migrants in Turkey.” Helsinki Citizens Assembly. Presentation, Hearing at the European Parliament. Strasbourg. 14 January 2009. Helsinki Citizens’ Assembly Turkey (HCA) 2011. "Global Detention Project Questionnaire." Global Detention Project. 29 July 2011. Geneva, Switzerland. Helsinki Citizens Assembly (HCA). 2012. “Briefing Note on Syrian Refugees in Turkey.” Helsinki Citizens Assembly. 16 November 2012. www.hyd.org.tr(accessed 3 April 2013). Helsinki Citizens’ Assembly Turkey – Refugee Advocacy and Support Program (HCA-RASP). 2011. "Global Detention Project Questionnaire." Global Detention Project. 21 December 2011. Geneva, Switzerland. Human Rights Watch (HRW). 2008. Stuck in a Revolving Door. Human Rights Watch. 26 November 2008. www.hrw.org/en/reports/2008/11/26/stuck-revolving-door (accessed 8 February 2010). Internet Kirklareli Haberciler (IKH undated). “Kirklareli'nin Pehlivanköy ilçesinde 750 mülteci ve siginmacinin kalabilecegi tarama ve barinma merkezi yapilacak.” www.internetkirklareli.com/multeciler-kirklareline-siginacak-0-30516p.html. Kaya, Ibrahim. 2008. “Counting the Uncountable. Data and Trends across Europe.” Clandestino. December 2008.clandestino.eliamep.gr/category/irregular-migration-transit-countries/(accessed 8 May 2013). Kirisci, Kemal. 2014. “Will the readmission agreement bring the EU and Turkey together or pull them apart?” Centre for European Policy Studies. CEPS Commentary. 4 February 2014. www.ceps.be/book/will-readmission-agreement-bring-eu-and-turkey-together-or-pull-them-apart (accessed 28 February 2014). Law on Foreigners and International Protection (YABANCILAR VE ULUSLARARASI KORUMA KANUNU Kanun No. 6458). 2013. Adopted on 4 April 2013 www.resmigazete.gov.tr/eskiler/2013/04/20130411-2.htm. Law on the Sojourn and Movement of Aliens. 1950. Turkish Law Number 5687. Law on the Work Permits of Foreigners. 2003. Turkish Law Number 4817 of 27 February 2003. Published in the Official Gazette on 6 March 2003, No. 25040. Levitan, Rachel, Kaytaz, Esra, Durukan Oktay. (2009).” Unwelcome Guests: The Detention of Refugees in Turkey’s “Foreigners’ Guesthouses”. In Refuge Vol 21, Number 1 (2009). Centre for Refugee Studies, York University and Queen's University.pi.library.yorku.ca/ojs/index.php/refuge/article/view/30609 (accessed 3 April 2013). Passport Law. 1950. Turkish Law Number 5683 of 15 July 1950. Turkish Law of Settlement. 1934. Official Gazette No: 2733, Law number 2510, Codex: Series 3, Volume 15, Page 460. Adopted 14 June 1934. Legislationline. Undated. “Criminal Code (2004, as amended 2006).” Organization for Security and Co-operation in Europe. Office for Democratic Institutions and Human Rights www.legislationline.org/documents/id/8975(accessed 9 May 2013). Migrants at Sea (MAS). 2013. “PACE Calls for Urgent Measures to Assist Greece and Turkey with Mounting Migratory Tensions in Eastern Mediterranean.” Migrants at Sea. 29 January 2013.migrantsatsea.wordpress.com/tag/frontex-joint-operation-poseidon-sea/(accessed 19 April 2013). Ministry for EU Affairs (MFA). 2012. “26th Reform Monitoring Group Meeting Press Statement.” Republic of Turkey. Ordu, 8 June 2012. Office for the Coordination of Humanitarian Affairs. Issue 42 | 27 January – 13 February 2014 reliefweb.int/report/syrian-arab-republic/humanitarian-bulletin-syria-issue-42-27-january-13-february-2014-enar (accessed 19 February 2014). Office of the High Commissioner for Human Rights (OHCHR). 2012. “UN Special Rapporteur on the human rights of migrants concludes second country visit in his regional study on the human rights of migrants at the borders of the European Union: Visit to Turkey.” Office of the High Commissioner for Human Rights. June 2012.www.ohchr.org/EN/NewsEvents/Pages/DisplayNews.aspx (accessed 2 April 2013). Return Migration and Development Platform (RDP).2013. “Turkey’s Bilateral Agreements linked to Readmission.” European University Institute. Robert Schuman Centre for Advanced Studies. February 2013rsc.eui.eu/RDP/research/analyses/ra/turquie/ (accessed 5 April 2013). Soykan, Cavidan. 2012. “The New Draft Law on Foreigners and International Protection in Turkey.” Oxford Monitor of Forced Migration. Volume 2, Number 2. oxmofm.com/wp-content/uploads/2012/11/Cavidan-FINAL.pdf(accessed 9 May 2013). Soyaltin, Digdem. (2013).“Good news, Bad News or No News: Management of Irregular Migration in Turkey.” Centre for Policy Analysis and Research on Turkey, London, Vol. II, Issue 3, pp.33-45. May 2013. researchturkey.org. Special Rapporteur on the Human Rights of Migrants (SRHRM).2013. “Report by the Special Rapporteur on the human rights of migrants, François Crépeau, Mission to Turkey (25–29 June 2012).” Human Rights Council. A/HRC/23/46/Add.2. 17 April 2013.www.ohchr.org/EN/Issues/Migration/SRMigrants/Pages/AnnualReports.aspx(accessed 8 May 2013). Turkish National Police. Website. 2010. “Turkish National Police European Union (EU) Harmonization Activities”.www.disiliskiler.pol.tr/en/TNP/Pages/EU Activities.aspx (accessed 25 January 2010). Turkish National Action Plan for the Adoption of the ‘EU Acquis’ in the Field of Asylum and Migration. 2005. Cooperation project on the social integration of immigrants, migration, and the movement of persons signed by the Republic of Turkey, Ministry of Interior, General Directorate of Security on 17 January 2005 and financed by the European Commission MEDA Programme. UN Committee on the Rights of the Child (CRC). 2009. “Consideration of Reports submitted by States Parties under Article 8 of the Optional Protocol to the Convention on the Rights of the Child on the Involvement of Children in Armed Conflict: Concluding Observations: Turkey.” United Nations. CRC/C/OPAC/TUR/CO/1. 29 October 2009.www2.ohchr.org/english/bodies/crc/crcs52.htm (accessed 8 May 2013). UN Committee on the Rights of the Child (CRC). 2012. “Consideration of reports submitted by States parties under article 44 of the Convention - Concluding observations: Turkey.” United Nations. CRC/C/TUR/CO/2-3. 20 July 2012. tb.ohchr.org/default.aspx (accessed 17 April 2013). UN Committee against Torture (CAT). (2010). “Consideration of reports submitted by States parties under article 19 of the Convention - Concluding observations of the Committee against Torture Turkey.” United Nations. CAT/C/TUR/CO/3. 20 January 2011. tb.ohchr.org/default.aspx (accessed 1 May 2013). United Nations High Commissioner for Refugees (UNHCR). 2009. 2008 Global Trends: refugees, Asylum-seekers, Returnees, Internally Displaced and Stateless Persons. UNHCR. 16 June 2009. United Nations High Commissioner for Refugees (UNHCR). 2013.” UNHCR welcomes Turkey's new law on asylum.” UNHCR: Briefing Notes, 12 April 2013. www.unhcr.org/5167e7d09.html (accessed 7 May 2013).www.unhcr.org/pages/49c364c4d6.html (accessed 29 July 2009). United Nations High Commissioner for Refugees (UNHCR). 2014a. “2014 UNHCR country operations profile – Turkey.” United Nations High Commissioner for Refugees. 2014. (accessed 19 February 2014). United Nations High Commissioner for Refugees (UNHCR). 2014b. “UNHCR Turkey Syrian Refugee Daily Sitrep.” Reliefweb.int. 06 March 2014.reliefweb.int/report/turkey/unhcr-turkey-syrian-refugee-daily-sitrep-06-march-2014 (accessed 11 Marche 2013). United Nations Human Rights Committee (HRC). 2012. “Concluding observations on the initial report of Turkey adopted by the Committee at its 106th session (15 October - 2 November 2012).” United Nations. CCPR/C/TUR/CO/1. 13 November 2012.www2.ohchr.org/english/bodies/hrc/hrcs106.htm (accessed 17 April 2013). UN Population Division (UNPD). Website. International Migrant Stock: The 2008 Revision. Department of Economic and Social Affairs. 2010.esa.un.org/migration/ (accessed 8 May 2013). UN Working Group on Arbitrary Detention (WGAD). 2007. Report of the Working Group on Arbitrary Detention Addendum: Mission to Turkey. Human Rights Council. A/HRC/4/40/Add.5. 7 February 2007. U.S. Department of State (USDS). 2012. “Trafficking in Persons Report 2012.” U.S. Department of State. 2012.www.state.gov/j/tip/rls/tiprpt/2012/index.htm (accessed 9 May 2013). Z.N.S. v. Turkey. 2010. Judgment of the European Court of Human Rights. Application no. 21896/08. 19 January 2010. General Directorate of Migration Management. Turkey Migration Report 2016. Durukan, Oktay (Helsinki Citizens’ Assembly Turkey). Notes on Draft Detention Profile. Global Detention Project. 3 April 2014. Helsinki Citizens’ Assembly Turkey (HCA). "Global Detention Project Questionnaire". Global Detention Project. 29 July 2011. Geneva, Switzerland. U.S. Department of State, “Trafficking in Persons Report 2012,” U.S. Department of State. http://www.state.gov/j/tip/rls/tiprpt/2012/index.htm (accessed 9 May 2013). European Commission, “Commission Staff Working Document: Turkey 2012 Progress Report accompanying the document Communication from the Commission to the European Parliament and the Council Enlargement Strategy and Main Challenges 2012-2013,” SWD(2012) 336 final http://www.ipex.eu/IPEXL-WEB/dossier/document/SWD20120336.do (accessed 2 April 2013). Detention of foreign nationals under aliens legislation - for as long as the detention facility for foreign nationals at the Ankara Police Headquarters remains in service, detained persons to be offered access to the open air for at least one hour every day (paragraph 40). Detention centres for foreigners - police officers at the detention centres in Ağrı, Edirne-Tunça and Kirklareli to be reminded that all forms of ill-treatment of immigration detainees are not acceptable and will be punished accordingly (paragraph 41); - the Turkish authorities to take the necessary steps to prevent any “informal deportations” from occurring in the future (paragraph 43); - the Turkish authorities to prevent any repetition of the severe overcrowding which reportedly occurred at Van Detention Centre in August and September 2009 (paragraph 44); - steps to be taken to significantly reduce the official capacity of Istanbul-Kumkapı Detention Centre and to ensure that future occupancy levels are always kept within the limits of the new capacity (paragraph 45); - urgent steps to be taken to ensure that the detention centres at Ağrı, Kırklareli (unit for male adults), Konya and Van are kept in an acceptable state of repair and hygiene (paragraph 48); - the Turkish authorities to take steps at all the detention centres visited to ensure that foreign nationals are offered a greater number and broader range of activities (paragraph 49); - 66 - - the provision of food to immigration detainees to be reviewed in all the detention centres for foreigners, to ensure that it is adequate in terms of both quantity and quality (paragraph 51); - the necessary steps to be taken in all the detention centres for foreigners to:  ensure that all newly-arrived detainees are promptly examined by a doctor or by a fully-qualified nurse reporting to a doctor;  arrange for the daily presence of a person with a recognised nursing qualification, the length of time of that presence depending on the number of immigration detainees; a nurse should be present on a full-time basis at Istanbul-Kumkapı. Such nursing staff could in particular perform the initial medical screening of new arrivals, receive requests from foreign nationals to see a doctor, ensure the provision and distribution of prescribed medicines, keep the medical documentation (thus ensuring confidentiality of medical data) and supervise the general conditions of hygiene (paragraph 52); - steps to be taken in all detention centres for foreigners to ensure that police officers working in direct contact with immigration detainees receive appropriate initial and continuous training (including in interpersonal communication skills) (paragraph 59). Holding facilities for foreign nationals in the transit zone of Istanbul International Airport - the Turkish authorities to take the necessary steps to ensure that foreign nationals held in the transit zone are allowed to contact and meet representatives of UNHCR (paragraph 67). § 94. Avoid detaining individuals for the sole purpose of their irregular migration status, and systematically explore non-custodial alternatives to detention. 95. Detention should be limited to those cases where there is a risk of absconding or when the person poses a threat to his/her own or public security, and its duration should be limited to the minimum time necessary in order to carry out removal proceedings. 96. Establish clear procedures to avoid the detention of migrants whose removal is unlikely, inter alia due to statelessness, lack of diplomatic presence in Turkey, or unwillingness of the countries of origin to receive their own nationals. 97. Refrain from detaining children and families with children, in conformity with the principle of the best interests of the child and family unity. 98. Facilitate, where possible, the voluntary return of migrants who are willing to return to their countries, as opposed to deportation proceedings, in accordance with international human rights law. 99. Ensure adequate access to all places where migrants are detained, including the transit zone at Istanbul Atatürk Airport, to lawyers, CSOs, UNHCR and other international organizations. 100. Establish a system of independent monitoring of all detention facilities, including by the National Preventive Mechanism, the National Human Rights Institution, civil society organizations and international organizations. 101. Develop regulations in line with international human rights standards concerning procedural safeguards and conditions of detention, and ensure that all migrants deprived of their liberty are able to promptly contact their family, consular services and a lawyer, which should be free of charge if necessary, to seek asylum if requested, and to promptly and effectively challenge their detention. 102. Ensure that all detained migrants have access to proper medical care, adequate food and hygienic conditions, and to an interpreter. 103. Improve the human rights training of police officers and other officials working in the area of migration, including the staff in detention facilities. Essiz, Veysel; Soyer, Cenk; Durukan, Oktay (Helsinki Citizens’ Assembly Turkey – Refugee Advocacy and Support Program (HCA– RASP)). "Global Detention Project Questionnaire". Global Detention Project. 21 December 2011. Geneva, Switzerland. Helsinki Citizens Assembly (HCA). 2007. Unwelcome Guests: The Detention of Refugees in Turkey’s “Foreigners’ Guesthouses”. Helsinki Citizens Assembly, Refugee Advocacy & Support Program (RASP). November 2007. Budai, Alessandro (European Union Delegation to Turkey), Email message to Mariette Grange (Global Detention Project),19 March 2014, Geneva. European Commission, "Twinning: Establishment of a Reception, Screening and Accommodation System (Centres) for asylum seekers and refugees. Twinning Project No. TR 07 02 17." 2007. When the “refugee crisis” surged to the forefront of the EU’s agenda in 2015, it did little to discourage the xenophobic wave that swept across member states. It did just the opposite.